Tired of over-priced recycling software? iScrapRight is an extremely affordable, yet elegant and easy-to-use app/cloud based scrap and recycling software solution for scrap and CRV buyers to be able to perform ticketing transactions, assure 100% compliance on metal purchases, and run essential reporting such as Purchase Summary, Transaction Detail, and Cashier Reports. Through years of careful planning, detailed design, and coordinated development, we are proud to offer this beautifully simple game-changer to the scrap and recycling industry! Compatible with PC, Mac, iPad and most tablets! We took the best parts of our award-winning flagship ScrapRight Recycling Software and made it accessible to every scrap buyer, regardless of size and budget! If you are looking to perform transactions, get compliant with state and local recycling laws, and run reports, this is the best solution for quickly and easily running your recycle center or scrap yard efficiently and affordably. Choose the plan that is best for you. Pricing is based on ticket volume! Affordable and transparent pricing plans starting at only $149.99 per month! Convenience. Compliance is attainable all from within your iPad with no additional hardware necessary. Mobility! Work from anywhere. Buy on the go. There’s even an offline ticketing mode! No long term contracts. Transparent and fair monthly plans available. High upfront software and hardware costs. Often in the 10’s of thousands of dollars! Installation and training can be a long, expensive process. Often several weeks of lead time. Outdated UI’s and difficult learning curves await. Anchored at the yard. Gotta be on site to run your software. 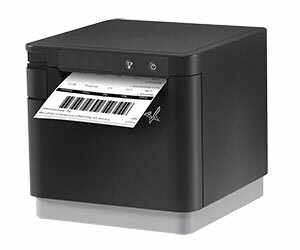 Expensive mandatory annual update, support and licensing fees..
Built-In 2” Thermal Printer and Cash Drawer. Recommended for scrap yards and recycling centers with a cleaner work environment who will be paying tickets from the app. Available in BlueTooth version for your iPad and Web version for your desktop computer. 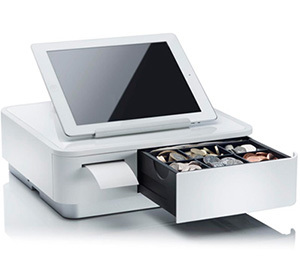 These stationary units are great for use at a scale or kiosk. 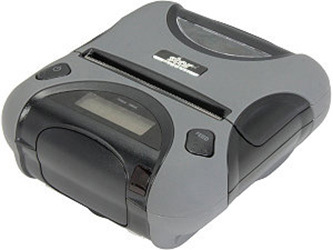 Portable 3” Thermal Printer. This unit can be clipped to your belt and taken on the go. Great for users on the road or for those making purchases throughout your scrapyard.